Stop the presses! Just when you thought the UMaine Women’s Basketball season ended in Albany just over a week ago, there was a big announcement. UMaine Athletic Director Karlton Creech posted on Twitter late Monday Night that the Black Bears will now host Bucknell in the first round of the Women’s Basketball Invitational (WBI) tournament on Wednesday Night at 7pm at the Cross Insurance Center in Bangor. Creech and the Athletic Department had submitted an application to host a WBI first-round game late last week with the school picking up the $10,000 fee for the opportunity to have post-season play in Bangor for the first time. 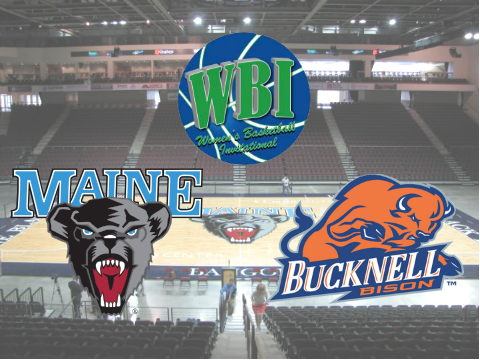 After the women’s NCAA and NIT tournament fields were set Monday evening it was determined that UMaine had qualified for the WBI and would host Bucknell from the Patriot League on Wednesday. For Creech this is a massive win for the school and the basketball program in his first year as athletic director. Sure it is the lesser known of the three major post-season tournaments for women’s college basketball, but the chance to host a game and keep excitement building around the program makes this a worthwhile investment. Tickets are $10 for adults and $5 for students/seniors and are already available through the Cross Insurance Center (CIC) website and will also be available at the door. This is a MASSIVE opportunity for everyone to come out and support the women’s team as they take part in post-season play for the first time in years. It’s time to #FillTheSteins and #FillTheCIC for our Lady Black Bears!